Are Online Banking Problems Real or Just Fears? 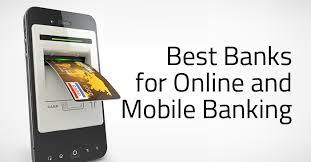 With the growing popularity of online banking even people who maintain a traditional bank account also use the online banking options as well. While it's true there can be some disadvantages to online banking many of these problems begin with the consumer. For instance there are still a number of people who won't use online banking because they are afraid of it, don't understand it or just don't like to change with the times. Normally these problems usually affect older people because they are not used to computers or know very little about them. Where as the younger generation has grown up with computers and are quite comfortable with them. Many of these people don't just have a fear of online banking; they have a fear of the Internet in general. Some of them are afraid due to privacy concerns and others may not have the proper equipment. For the most part these people are blowing their fears out of proportion. Unless these people decide to overcome their fears, they will never enjoy the benefits that online banking can bring. You don't need a fancy a computer to make use of online banking but you will need an Internet connection and a browser that supports 128-bit encryption. However these things are easily attainable these days. It is also best to have a high-speed Internet connection so you can download files and have less chance of the connection dropping while you are trying to access your online account. For others they may have concerns about remembering user names and passwords. As a result they will be tempted to write them down and keep them near the computer, but that can be a security risk if a thieve should find them. One way to keep passwords and usernames written down but safe is create a code of some type for the online bank account name rather than the actual name, then keep it stored some place that isn't easily spotted. There are some disadvantages to online banking that are real. For instance at high traffic times your transactions may not go thru as quickly. Although they rarely happen, it is possible there could be a breakdown in communications that could cause errors or delays. There is also the rare possibility that a virus could get into the bank system. However these online banks take a great deal of precautions to prevent anything like that from happening, so it's highly unlikely to occur. So as you can see online banking may not be without some problems for the most part they be can be overcome with some precautions and knowledge.